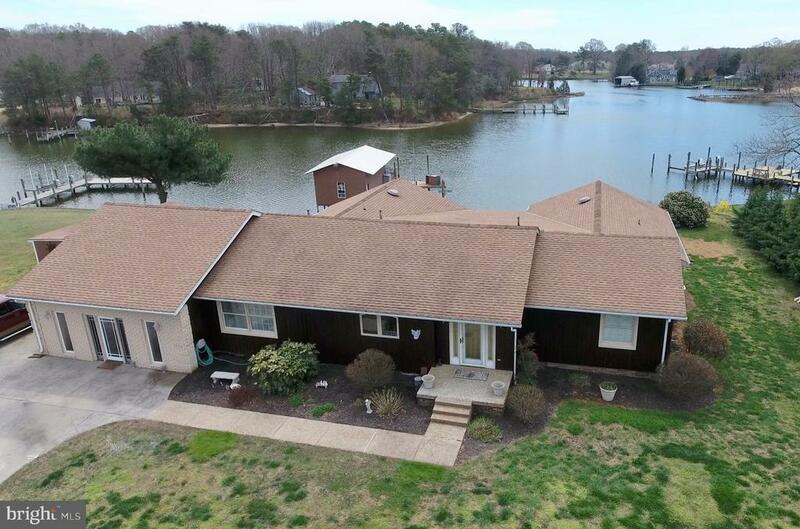 All Reedville homes currently listed for sale in Reedville as of 04/22/2019 are shown below. You can change the search criteria at any time by pressing the 'Change Search' button below. If you have any questions or you would like more information about any Reedville homes for sale or other Reedville real estate, please contact us and one of our knowledgeable Reedville REALTORS® would be pleased to assist you. "Embrace the beach life at this fantastic home! Located on a peninsula formed by the Chesapeake Bay, Little Wicomico River and Rock Hole Creek the private beach is wide and inviting. Enjoy amenities found few other places, including a waterside chipping green and a gazebo overlooking a bocce ball court. The huge waterside deck provides ample space for parties and dining. An awesome outdoor bathroom has a shower with solar hot water heater. The interior of the home features a wall of windows that bring the Bay into the living area. The open floor plan allows views from the kitchen and dining area as well. The coastal kitchen is bright and has granite counter tops. There are 2 guest bedrooms and a full bath on the first floor. The master bedroom has a balcony looking over the bay, a walk in closet and master bath with shower and tub. There is a waterside en suite guest bedroom too. There is an additional room that could be a 5th bedroom or office. Gravel paths wind through the beach forest with interesting sculptures and plants dotting the landscape. Raised bed garden and slat house are ready for green thumbs! 2 car attached garage. 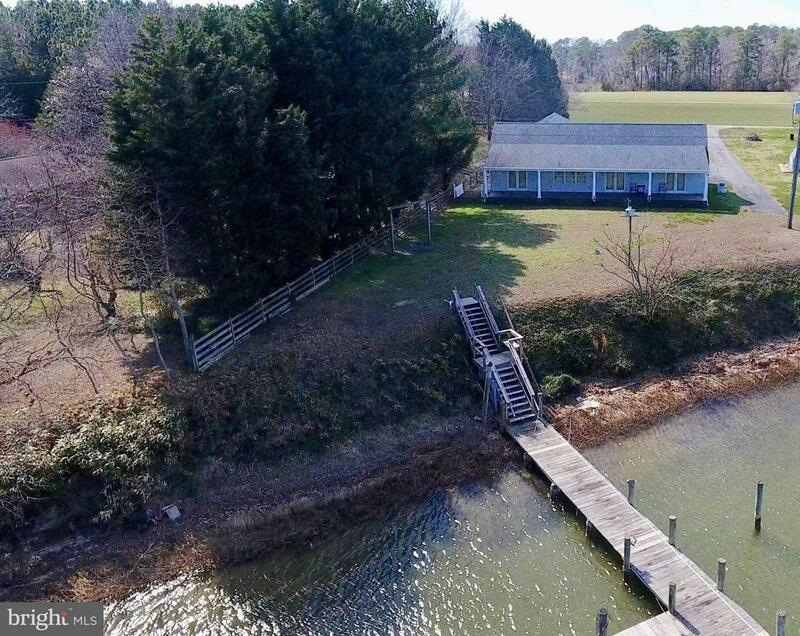 Community boat ramp and dock on Little Wicomico"
"Imagine waking up in your first floor master suite looking out to the Chesapeake Bay-this is a bay front property on a private cove, with views for miles! Imagine watching the children at play on your own private beach in Twin Harbors Subdivision in Reedville, Virginia! Every inch of this home was thought out in advance. From the 5 generously sized bedrooms, all with custom plantation shutters, and 3.5 baths all with granite countertops. This home offers over 4,000 square feet and over an acre waterfront lot that has extensive landscaping already completed for you! Walk inside from your beautiful country porch to a large foyer. New bamboo flooring! UV protected and tinted privacy windows. The main level offers a formal dining room, a large kitchen with GE profile 5 burner gas stove with retractable exhaust fan. GE Profile convection oven and microwave. New Samsung French 4 door fridge! Granite countertops, a huge island and the most beautiful custom cabinets with great counter space. The family room is impressive too! You have a huge space to entertain looking out to the Bay and also offers a gas fireplace. The house is a split design on the main level, so you have two bedrooms and a full bath on one side, on the other, you have the master suite which offers your own access to the massive deck out back, large custom windows to enjoy your waterfront, and a master bath that offers a beautifully tiled shower, jacuzzi tub, a dual vanity with custom cabinetry and a large walk in closet. A laundry room you will immediately enjoy with new Samsung front load large washer and dryer, tons of cabinets, granite countertops and even a stainless steel sink! There is an oversized, side loading garage attached which offers 2.5 spaces, perfect for storing kayaks, paddle boards and beach supplies! Upstairs you have a massive recreation room, again, you will enjoy the beautiful water views. There are an additional 2 bedrooms and full bath upstairs. Great storage, an outside shower for"
"WATERFRONT! Rock Hall, circa 1804.Gorgeous Center Hall Greek Revival home on 8 acres with boat dock on Rock Hole Creek. Incredibly renovated with new kitchen, wide plank original loblolly pine floors, 10 ft. ceilings, built in bookcases, freshly painted. Fine appointments throughout,two fireplaces, steps to Smith Point Marina. Two docks!" 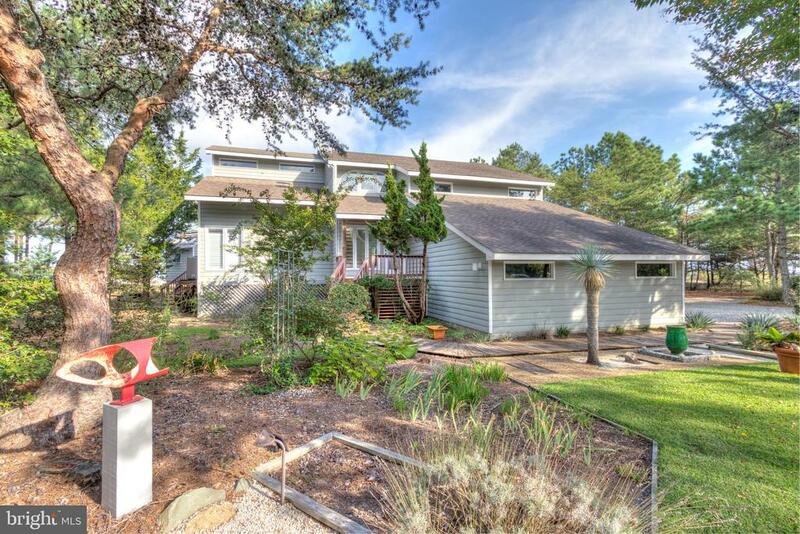 "This waterfront home has it all w/ great fishing, crabbing & oysters all at your finger tips! Offering 1st floor living, an updated home w/ open floor plan, beautiful wide water views, deep water at the pier & quick access to the Bay, this home will meet all of your waterfront needs. There is room for everyone: A brand new 1st floor master bedroom w/ water views & access to the waterside deck, 1st floor laundry, master suite on the 2nd level w/ 2 guest bedrooms & 2nd floor laundry. A 3rd master suite sits above the garage w/ water view, wet bar, gas fireplace, large room for office or storage & a balcony. The gourmet kitchen & living area is open w/ gas fireplace, wet bar & water views. 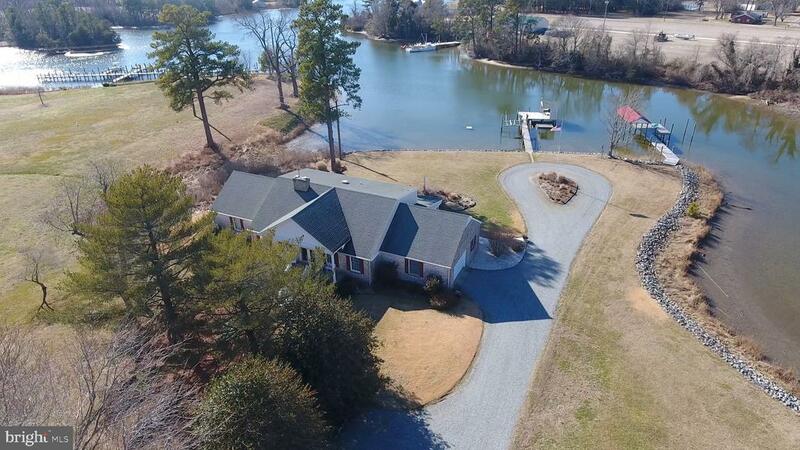 The dock sits on Cod Creek off The Little Wicomico River w/ 6ft.+ MLW, boat lift, ski lift, quick access to a beautiful beach & some of the Bay's best fishing grounds. Located in Greenfield Harbour Community, this property has access to a boat ramp very close by w/ minimal restrictions and minimal fees. You need to see all that this home has to offer! Bring any boat you'd like & as many friends as you can, your Northern Neck Dream is waiting for you in Reedville." 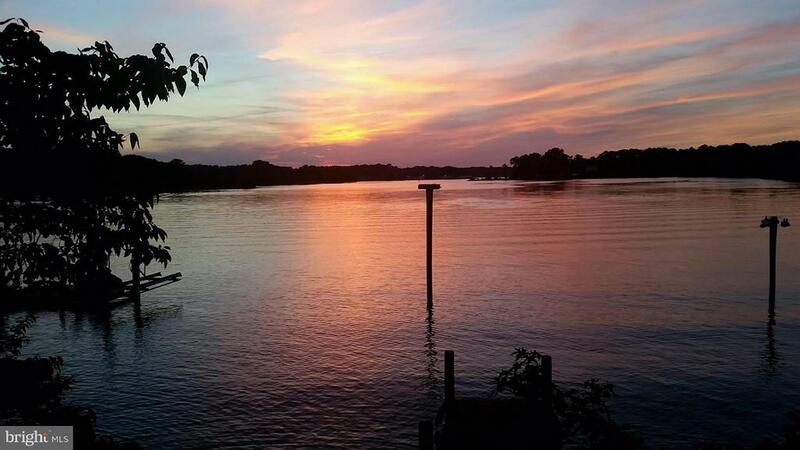 "Mesmerizing views of the Little Wicomico river right at your back door. Spacious 4 bedroom 4 bathroom ranch with Custom kitchen cabinetry, 2 dishwashers, breakfast bar, granite countertops, gas (propane) cooktop, pot and pendant lighting. The first of 2 Master Bedrooms has Palladian windows, deep jetted soaker tub, separate shower, makeup vanity, gas fireplace and walk in closet. Both the formal Dining and Sun rooms have large windows and walk out access to the back yard. Huge game room for cold or rainy day activities. Multi zoned central A/C and (propane) gas heating. The dock/pier is equipped with water and electric; perfect for cleaning the catch of the day. Large boathouse for all your water toys. Two sheds for garden equipment. Generator. HOA with separate boat dock." 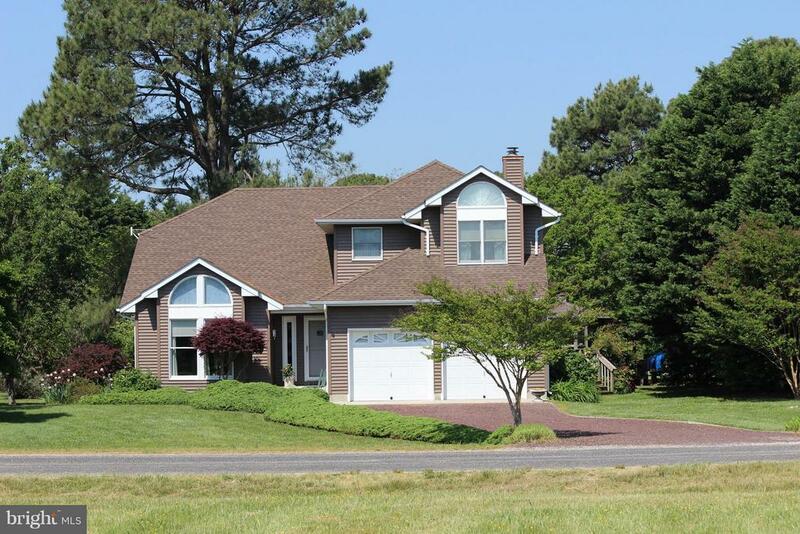 "Get ready for relaxing 'Rivah life' in this wonderful cape cod home on an inlet of the Chesapeake Bay! Protected cove for kayaking, paddleboarding, crabbing, and fishing with a white sand, private community beach a minute around the corner. This home looks cozy, while offering an amazing amount of space with approx 3,100 sq ft. The floorplan provides up to 6 bedrooms (house is on public sewer, no no perc worries here!) or a main floor office and upper level bonus room with 4 bedrooms. A main floor master suite and laundry room make this a convenient home as well. Recently installed handscraped oak hardwood floors, granite countertops and a glass tile backsplash up the WOW factor. In addition, there is a gourmet kitchen that will be any cook's delight. Double oven range, wall oven and a convection/microwave provide endless cooking options. Butlers Pantry contains a deep well sink for large pots (think steamed seafood), and the main sink is a stainless steel dual bowl. French door refrigerator with bottom freezer will hold food for a crowd, with an extra 'frige in the garage! A double window over the sink provides a view of the side porch and landscape beyond. The master bedroom has a tray ceiling, a sitting area overlooking the inlet, walk-in closet and bath suite with a Jacuzzi tub, separate WC and large step-in shower. There is a wood burning fireplace in the Great Room and an auxiliary gas space heater if ever needed. The heat pump is augmented by a propane system for when the winter temps get low. One main HVAC system can be set to deliver 'zoned' airflow and keeps this home efficient. Three porches offer options for outside enjoyment. The front entry porch overlooks the long front yard, with the house set back from the street/cul de sac for quiet and privacy. The side porch offers easy access to the kitchen or mud room from the driveway, with an ipe wood ramp for those who prefer not to do stairs. The rear screened porch (an amazing 14' x29' ) offers up"
"Best view on the Bay! 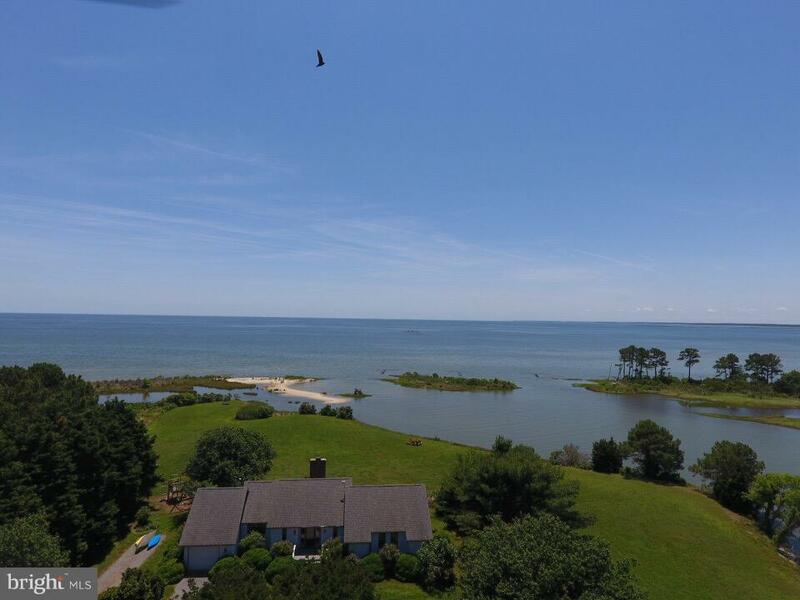 Sparkling water, beach, barrier islands, and a gorgeous tidal inlet wrap around beautiful 3-acre property with 2000+ft of shoreline. Brilliant sunrises and tranquil sunsets. Open and airy home with magnificent views of the Bay. Recently remodeled kitchen with high-end appliances and granite counter tops. Upscale furniture and lawn equipment negotiable at generous price." "Gorgeous brick ranch on peninsula. Wood burning fireplace, vaulted ceiling/sky lights & ceramic Mexican tile floors. Hardwood floors in all bedrooms & entryway. Master bedroom has en suite w/ views of the water. Screened in porch off of bedroom & study. Landscaped gardens & koi pond. Boathouse w/dock & boat lift. Full basement w/side exit . New HVAC/water heater 2017/18. Attached 2 car garage." 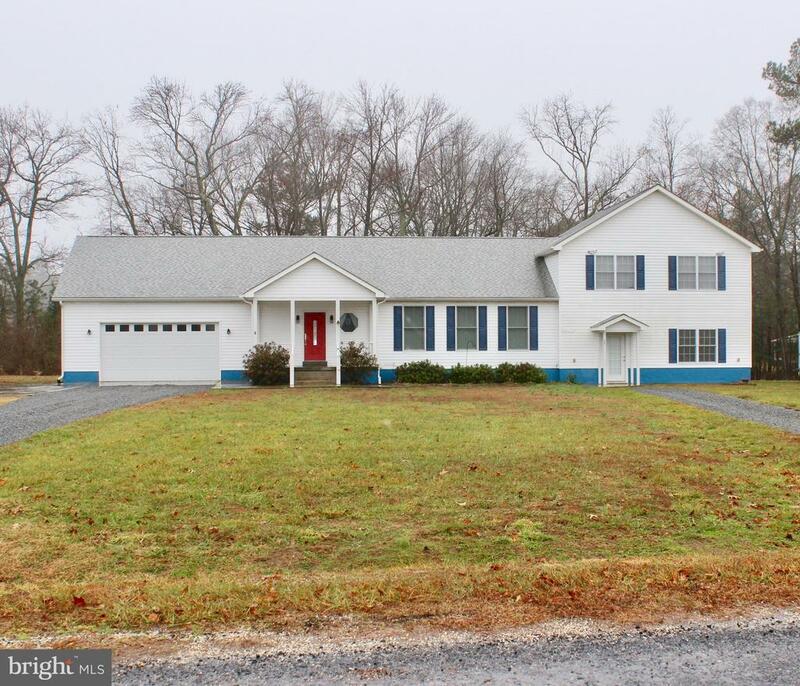 "Spacious waterfront home located on Bridge Creek, just minutes from the Chesapeake Bay. Enjoy boating, kayaking, fishing, jet skiing and a great sandy beach just outside the jetty. Return to your own dock with both boat and jet ski lifts. This home boasts an open floor plan with hardwood floors, screened in porch, patio, attached guest home (with a full kitchen), game room, two car attached garage with work area, two car detached garage (with over head storage) and a car port for all your water toys. Located on 2.16 acres. You also get a lot in Sherwood Forest (lot #334 ), with pool , tennis courts and boat ramp amenities. Dues are $85.00 a year. PRICED TO SELL!" 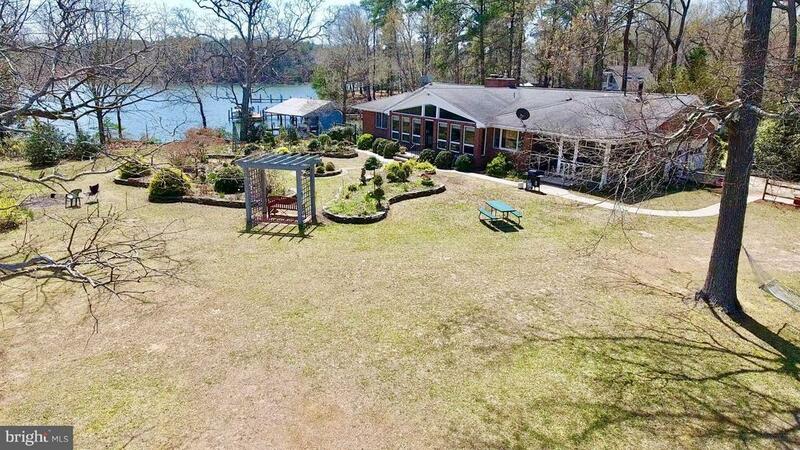 "Big Water Views & Handicap Accessible! 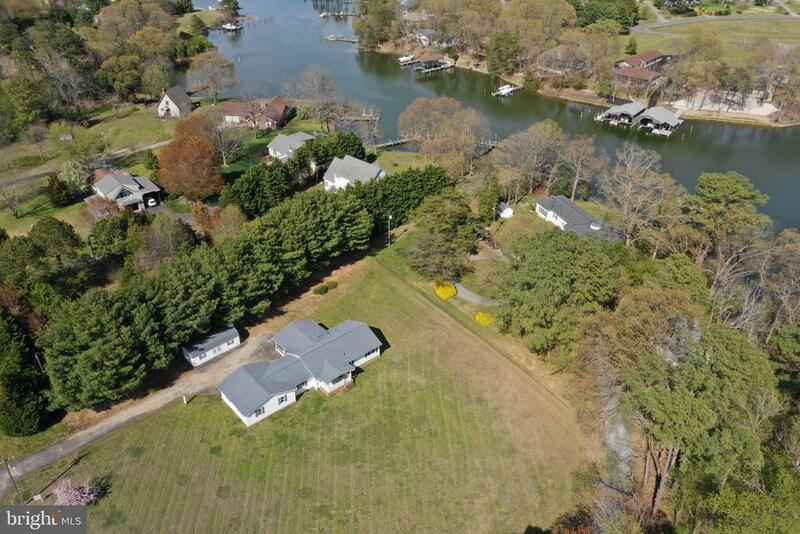 Enjoy The Little Wicomico River w/ Quick Access to The Bay. Home Features Wood & Tile Floors Throughout, Kitchen w/ Stainless Steel Appliances, Low Profile Dishwasher, Solid Hickory Cabinets & Quartz Counters, Master BR EnSuite w/Walk-in Shower, Walk-in Closet, Large Mudroom. Front Porch w/ Ramp & Waterside Porch w/ Ramp & Waterside. Pier w/ boat lift." 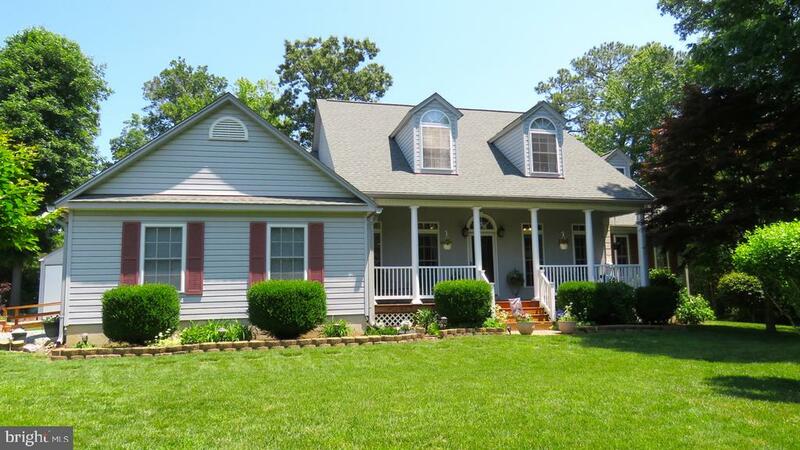 "Located in the Northern Neck of VA this home is move in ready. There are 4 bedrooms, 2 1/2 Bathrooms with two great rooms, 1 on each floor. 11' Ceilings on the 2nd floor, 2 ceiling fans separate A/C and SPECTACULAR Views!! The community pool and boat ramp is within 100 yards. This deep water home includes two storage sheds with electricity, gravel entrance, three screen porches and a rear deck!" "Views of Chesapeake Bay across street. From angular staircase look into living room or look up to balcony that links 2 master bedrooms w/ en suites & 3rd bedroom. Fireplace in family room, dine alfresco in gazebo on rear deck w/ beautiful landscaped gardens. Just minutes away from Ingram Bay Marina and community REC area w/ pier, beach, swimming, pavilion, picnic tables, fire pit and swings." 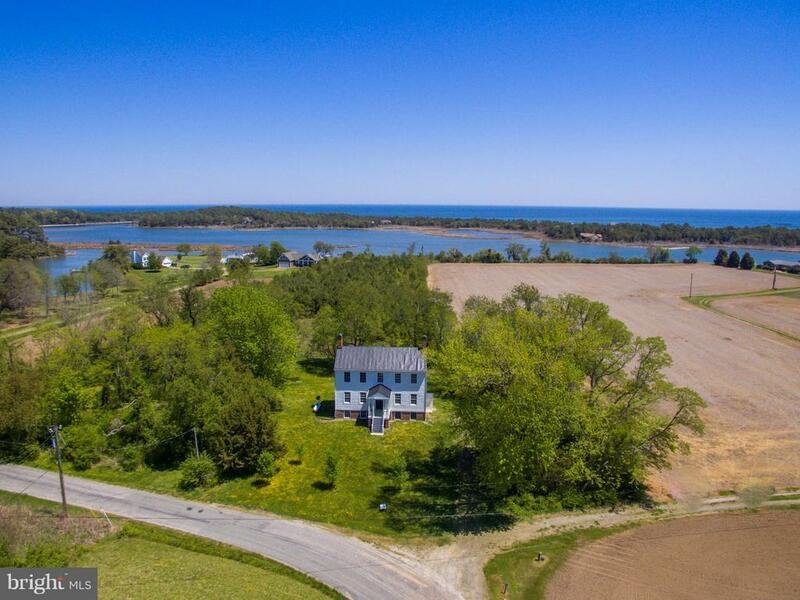 "Moments to the Chesapeake Bay just off of Little Wicomico River this massive rambler in Reedville, Virginia has so much to offer! 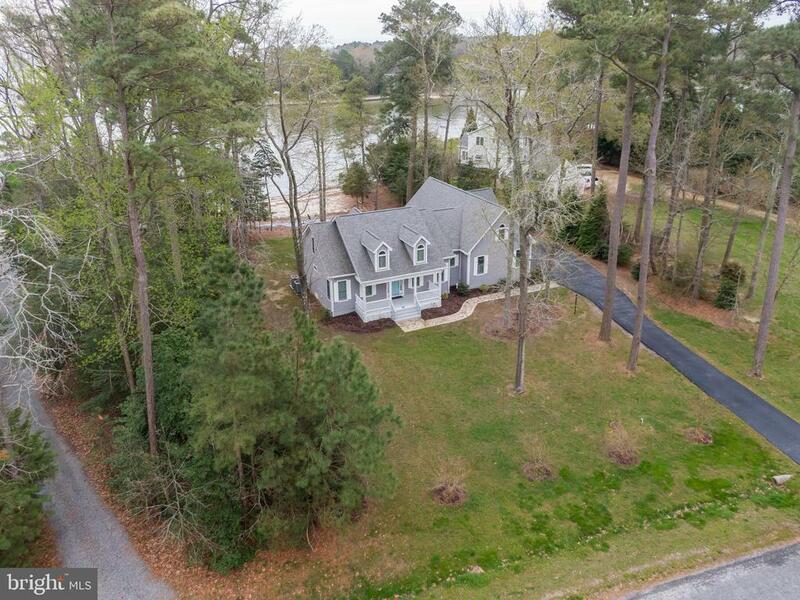 Huge corner lot with beautiful landscaping, country front porch, large screened in porch and a private dock (100AMP power) with a boat house offers convenience for boaters! Large paved driveway, oversized 2 car garage and separate detached shed perfect for storing all your boating gear! Living room is spacious and open to the updated large kitchen with dining space! An incredible family room with wood stove. Washer and dryer are almost brand new and convey. 3 bedrooms, master has it's own full bath. 40 year shingles, close to great restaurants, entertainment and marinas!" "Fleeton Beach Community. Two Lots with Mobile Home (AS IS) walking distance to the Bay and Sandy Beach. Great location to build a home. 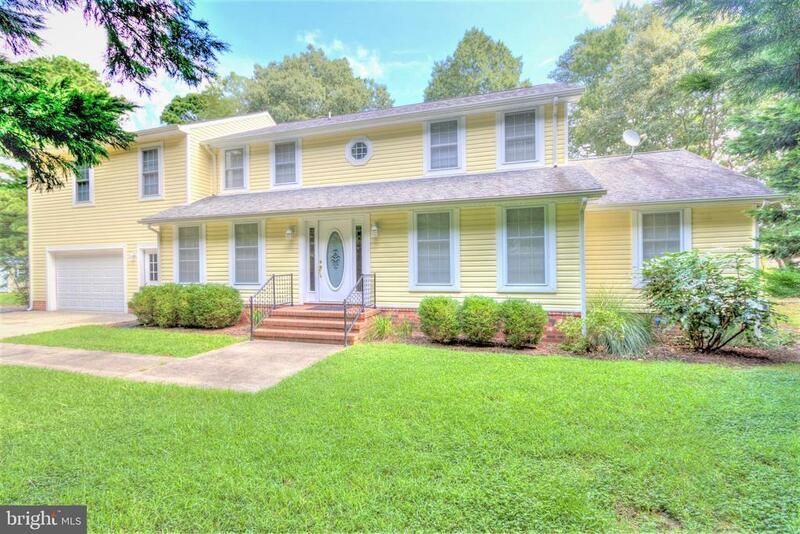 Close to Historical Reedville with great fishing, restaurants, shops and sightseeing. Additional Lot is available that borders this property. Golf Cart Community." 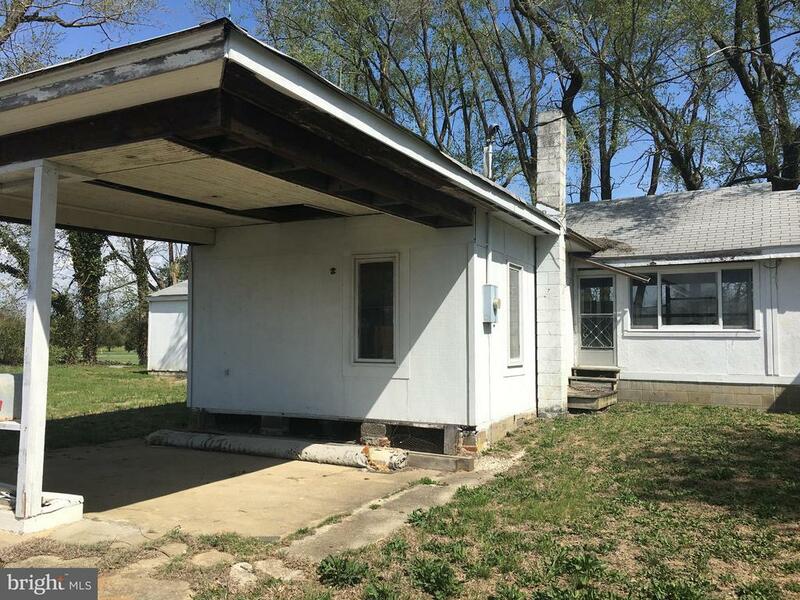 "Excellent residential/commercial property for small business. Zoned B-1 Per Northumberland Co.Needs renovation. Existing building can be used as residential. Cross listed as commercial. Sold in AS-IS condition. Artesian well. On busy Northumberland Hgwy, 10 mins to Reedville. Can be used as 2 smaller dwellings. All contents inside buildings to be removed by seller. Owner related to agent."